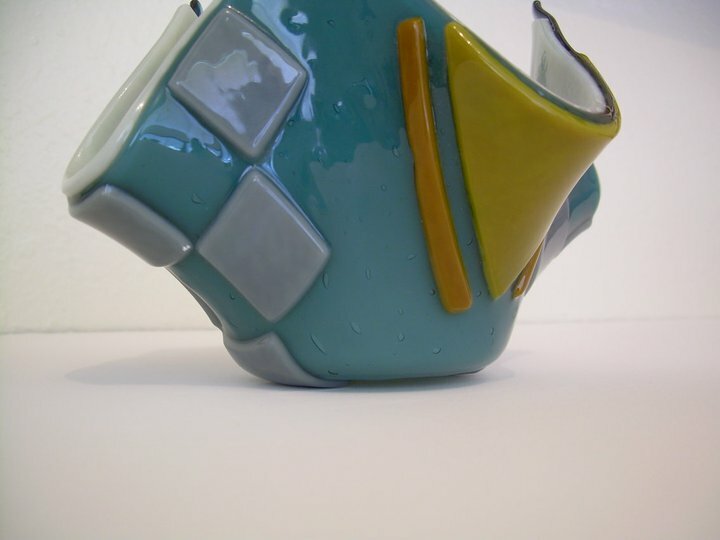 Teal & Grey “Handkerchief” | tessa.yvonne.morrison. Posted on January 12, 2012 by tessa.morrison. 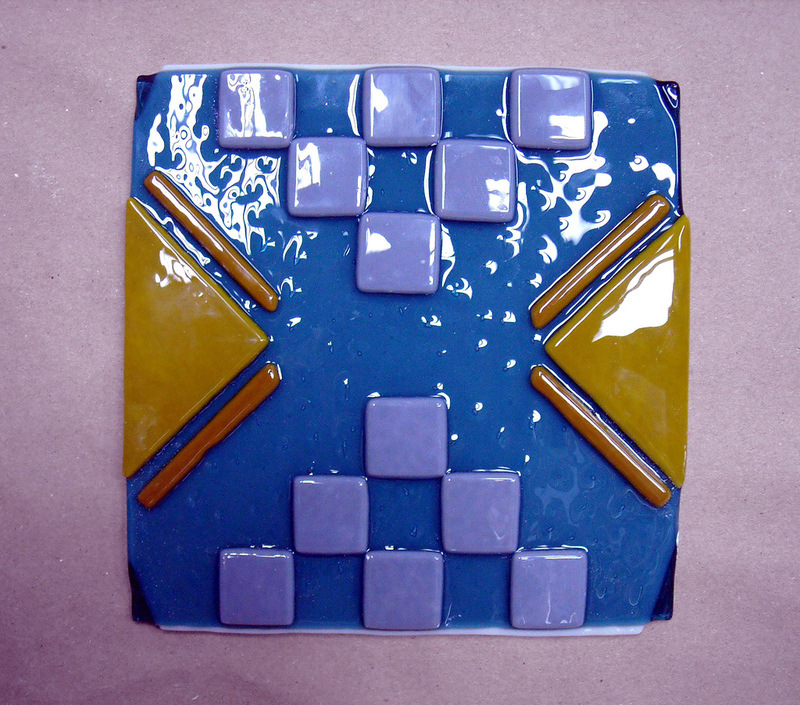 This was my first fused glass handkerchief, it gets that name from the shape it makes after being slumped. 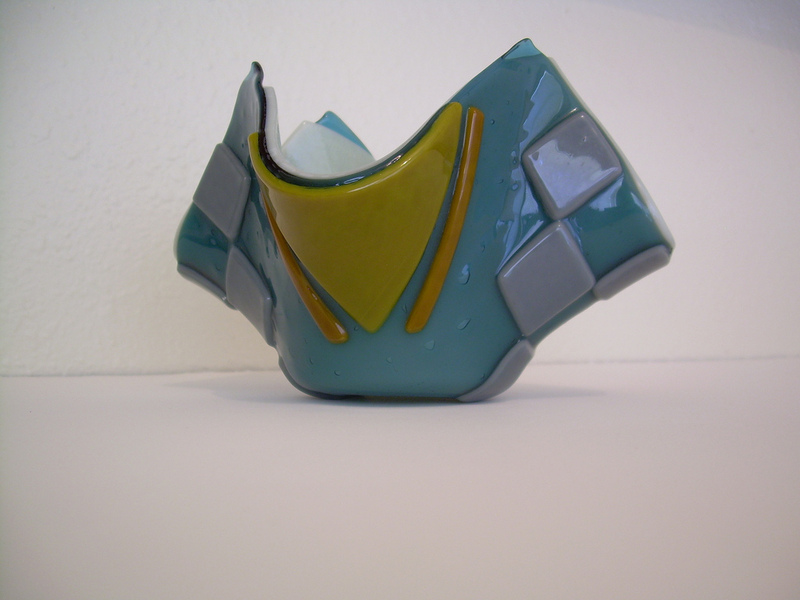 This entry was posted in Fused Glass Art and tagged Austin artist, Austin glass studio, contemporary art, contemporary glass art, fused glass, glass art, glass handkerchief, handkerchief, kiln glass, Tessa Morrison, warm glass by tessa.morrison.. Bookmark the permalink.